What happens to skin cells when they are confronted with blood? 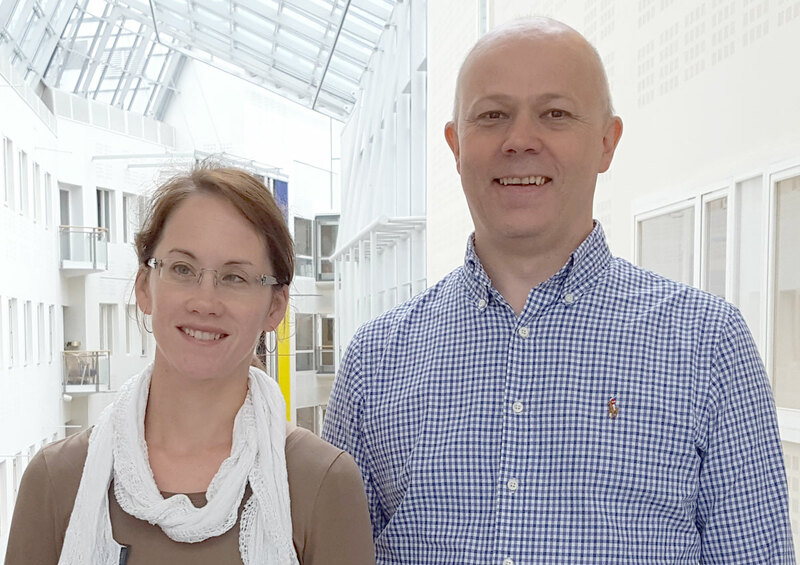 A team of researchers from Oslo University Hospital, led by Emma Lång and Stig Ove Bøe, performed experiments on blood-deprived cells that were subsequently exposed to blood serum. Remarkably, all the cells started to move and grow in the same direction as soon as the blood serum was added. Assistant Professor Liesbeth Janssen and student Marijke Valk from Eindhoven University of Technology (TU/e) developed a matching simulation model, revealing new insights into the mechanisms of wound healing. The results have recently been published in the journal Nature Communications. A person encounters approximately 10 000 injuries during a normal lifespan, ranging from small cuts to traumatic injuries and surgery. In most cases, wounds are miraculously repaired, but in some cases the healing process leads to chronic wounds. This is commonly associated with aging and certain pathologies such as diabetes and obesity. It is well established that blood plays an important role in wound healing, and various molecular components in the blood are known to trigger tissue repair processes after injury. In the Nature Communications paper, the authors investigate what happens when dormant skin cells are brought into contact with blood, when no wound is present. They find that the blood serum induces spontaneous movement (migration) and growth (proliferation) of cells—two processes that are important in wound healing. Furthermore, they demonstrate that the cell divisions are polarized and aligned with the direction of cell migration, a new insight that may potentially be relevant in tissue repair. The study shows that the presence of blood serum is sufficient to activate dormant skin cells into a migratory and proliferative state, and that a wound edge—previously believed to trigger cell migration and growth—is not necessarily required. The team from Oslo subsequently studied how the movement and growth of cells is affected by the connectivity between cells. Interestingly, they saw that disconnected cells undergo only random individual motion, but that strong cell-cell connectivities lead to much more pronounced collective and coordinated cell migration, spanning distances of micro- and even millimeter length scales. To understand this phenomenon, Valk and Janssen of TU/e developed a numerical simulation model that mimics the shape and movement of the cells both in the presence and absence of blood. In their model, blood-deprived cells remain in a quiescent state, while the addition of blood activates cells to undergo spontaneous motion. The simulations indicate that enhanced cell-cell connectivity causes cells to align more strongly with their neighbors, ultimately giving rise to the large-scale collective motion observed in experiments. “The next step now is to understand why the presence of blood triggers the active forces inside the cells, and why the cells divide asymmetrically in the direction of cell migration”, says Janssen. To study skin cell movement, the authors use live cell microscopy combined with computer algorithms that calculate direction and speed of moving cells. After addition of blood serum, the cells are placed under the microscope where thousands of images are captured over a period of two days (left image). Computer analysis by a method called particle image velocimetry (PIV) is then used to calculate velocity fields, speed and cell migration orientation. Not the coordinated migration in one direction upon addition of blood serum.